The Defend Oahu Coalition is looking to you to help keep the country country. A developer is close to receiving the last set of permits necessary to proceed with a massive resort complex on the North Shore. 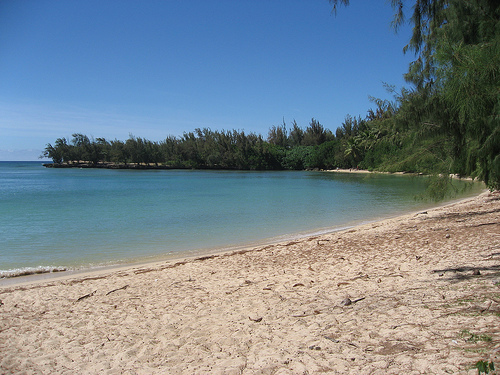 Your participation can help to protect Oahu’s shorelines from construction and the rural character of this community. Take a look at their update below and please try to attend their community meeting tomorrow evening 6:30 pm at Kahuku High School Cafeteria. This is the second in a series of Community Forums regarding the future of Turtle Bay. The City’s Department of Permitting and Planning is reportedly very close to issuing final subdivision permits to the developer at Turtle Bay which will allow him to move ahead with the outdated plan for five additional hotels and one thousand more resort condominiums. The State Supreme Court is set to hear Oral Arguments regarding the Keep the North Shore Country case asking for a Supplemental Environmental Impact Statement. The existing property is formally changing owners this month, who are reportedly working on a new business model for the resort. This is a crucial time to get updated about the current situation. Efforts aimed at building on plans for preservation as well as sustainable land use enforcement at City and State levels will also be addressed. Notable speakers invited to attend include: Governor Lingle, Representatives Abercrombie and Hirono, Mayor Hannemann, Turtle Bay Advisory Working Group Chair Bill Paty, Senator Clayton Hee, Councilmember Donovan Dela Cruz and Interim Developer for Kuilima Resort Company Stanford Carr. The moderator for the evening will be Dee Dee Letts, a member of the Ko’olauloa Neighborhood Board and longtime community activist. Click here to learn more from the DOC. 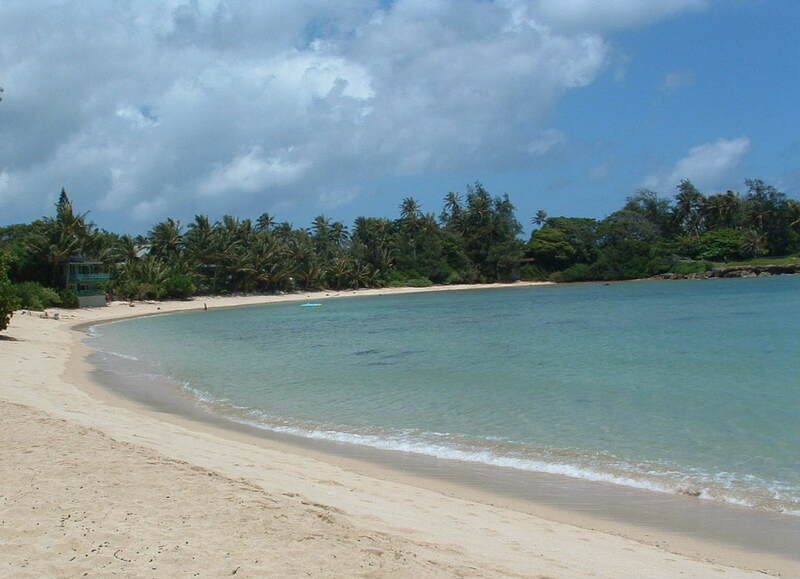 More on Turtle Bay EIS: When is old, TOO old? HAWSCT Oral Aguments Scheduled In Turtle Bay/Kuilima EIS Case: Is A Change In “Context,” But Not The Project, Enough To Trigger Supplemental EIS? Under HRS Chapter 343 an its enabling rules, is a supplemental environmental review required when there are significant changes to a project’s circumstances, such as increased environmental and community impacts, or are supplemental reviews limited solely to changes in project design? The application for writ of certiorari and opposing and amici briefs in the case thus far are posted here. The ICA’s opinion is reported at 120 Haw. 457, 209 P.3d 1271 (Haw. Ct. App. 2008), and is posted here. The briefs filed in the ICA are posted here. The Supreme Court of Hawai`i announced yesterday it would hear oral arguments on whether an outdated 25-year old Environmental Impact Statement (EIS) provided enough information to approve a proposed expansion of the Turtle Bay Resort. Kuilima Resort Company, owner of the property and currently headed by local developer Stanford Carr, is seeking approval for five new hotels and 1000 luxury condos at the Turtle Bay Resort on O`ahu’s rural North Shore. The Supreme Court will review a split 2-1 decision made by the State Intermediate Court of Appeals (ICA), which denied the Keep the North Shore Country and Sierra Club, Hawai`i Chapter’s request for an updated review of the proposed development’s environmental and community impacts. The ICA majority held that no supplemental EIS would ever be required unless the “project itself” changed. This ruling could be taken to absurd conclusions. For example, Turtle Bay’s 1985 EIS could remain valid for hundreds of years, even if there are major hurricanes, drastic shoreline erosion, or significant changes to the community in the area. Six community organizations represented by Earthjustice – Conservation Council of Hawai’i, Surfrider Foundation, Hawai’i’s Thousand Friends, Life of the Land, Maui Tomorrow Foundation, and KAHEA: The Hawai’i Environmental Alliance – filed a “friend of the court” brief in support of Keep the North Shore Country and the Sierra Club’s position. Their involvement was necessitated by the broad negative ramifications of the ICA’s ruling, which could impact development projects throughout the State. Oral arguments are currently scheduled for Thursday, November 19, 2009 at 11:00 a.m.
On the North Shore of O’ahu, the scenic property surrounding the secluded Turtle Bay Resort includes over 850 acres along the coast and 400+ acres mauka (mountain side) of the highway. The undeveloped areas feature some of O’ahu’s last slice of “country” — wild coastal beaches, surfing breaks, dramatic landscapes, traditional fishing areas, threatened green sea turtle and endangered monk seal habitat, small local agricultural lots, and Hawaiian ancestral burial grounds. The area is a natural treasure valued by residents and visitors alike as a rural refuge. We have a once-in-a-lifetime opportunity to save this slice of the real Hawai’i for today and future generations. Kuilima Resort Company (KRC) and its parent company Los Angeles- based Oaktree Capital Management are pressing forward with plans to expand the footprint of the resort by building five new hotels and additional condominiums, adding over 3500 units (2,500 hotel rooms and 1,000 condos). The project has sparked broad concern from community, business, and governmental leaders. However, the owner’s own financial difficulties and the recent downturn of U.S. financial markets has produced a “green lining.” Beginning last year, KRC failed to pay its creditors, resulting in a foreclosure lawsuit filed by Credit Suisse, representing dozens of U.S. and foreign lenders. Debt for the resort is currently being traded at a fraction of its face value. The Trust for Public Land is part of a community, government, private working group formed by Governor Lingle to explore creative ways of financing such a purchase, and to form public-private partnerships to protect the property. More information on the Governor’s initiative including updates on the progress of her advisory working group is available. You can help. Your donations and ideas are welcome. Please donate now to provide essential financial support to the acquisition initiative — and feel free to contact the Governor’s Advisory Working Group at TurtleBayAWG@gmail.com to contribute your ideas.